No more wiping out or cleaning a YUCKY potty chair. For potty training on the go, search for TidyTots Travel Pack (16 count) and Travel Pack XL (32 count). Travel Packs have super-absorbent pads to contain the liquid waste. 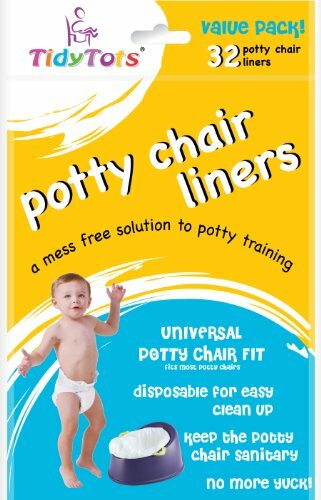 Throw your potty chair in the car and no more yucky public restrooms for the potty training family.